Upgrading to new computer applications can be difficult for employees to get used to in the organization. This can be especially difficult for employees when you have to upgrade many applications at once, such as the entire Microsoft Office Suite. One of our newest content partners, Sonic Performance Support, offers seamless and understandable training courses for Microsoft Office 2010 and Windows 7. As a part of our unveiling of our third-generation Video On Demand (VOD) format, Sonic’s courses will play on all smart phones, tablets and desktop computers. Microsoft Office 2010 and Windows 7: What’s New in Office 2010? Microsoft Office 2010 and Windows 7: What’s New in Excel 2010? Microsoft Office 2010 and Windows 7: What’s New in PowerPoint 2010? Microsoft Office 2010 and Windows 7: What’s New in Outlook 2010? 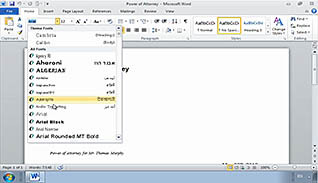 Microsoft Office 2010 and Windows 7: What’s New in Word 2010? We have also begun releasing courses specific to Excel 2010 – these titles can be found here. Keep checking back to see what other courses are coming out! 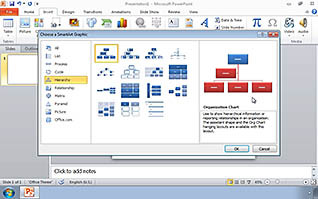 This entry was posted in Computer Skills, Workplace Training and tagged computer skills, excel 2010, microsoft office, ms office 2010, office 2010. Bookmark the permalink.